For as long as my dad has owned a blender he has made pancakes like this.... He may not be a diy diva, but a diy dad he sure is. 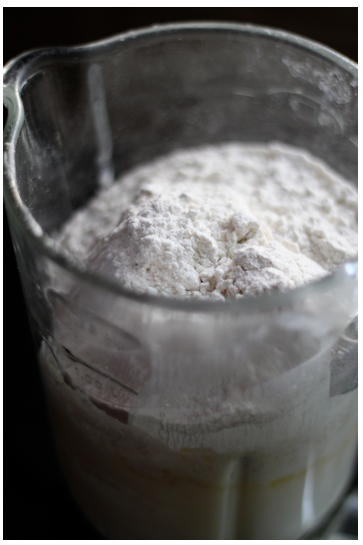 Throw all the ingredients from your favorite pancake recipe in a blender (this is the first cheat). Blend it baby. Pour the batter from the blender onto the skillet. (second cheat) Blenders have such handy pouring abilities! Call me crazy, but I thought this was pretty genius! Next, I am so making waffles this way! 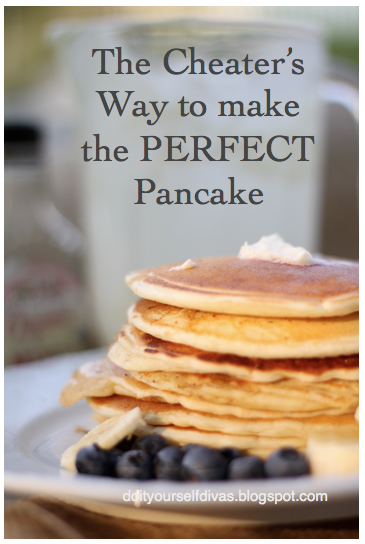 Such a great idea, for perfectly round, non-lumpy pancakes, with little to no mess to clean up! Happy Day! Love this idea! I will be doing this on Saturday! What a great idea. I will have to show this to my husband so I won't have a messy kitchen to clean up when he's done. 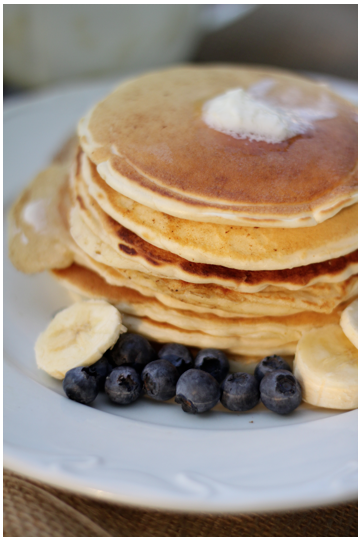 I love pancakes and even make then at night for supper. 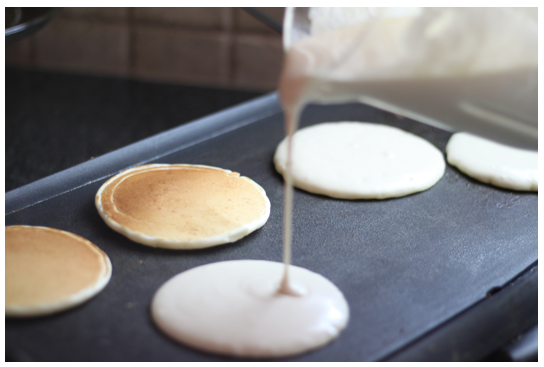 Use sparking water for fluffier pancakes! Use sparkling water for fluffier pancakes!